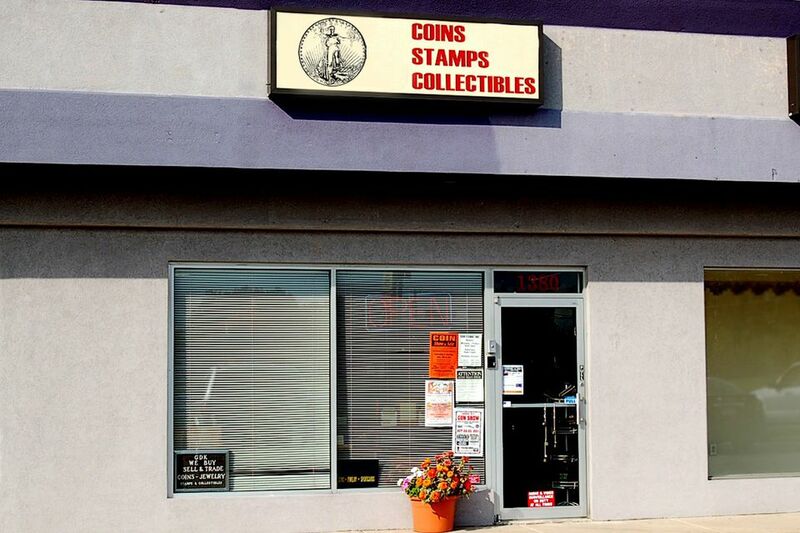 When it comes time to find a local coin dealer near you, don't go to the yellow pages first. Whether you are going to show him some coins to learn what they are, find out how much they're worth, or sell some coins, little research will go a long way. Many of the people listed under "Coins" in the yellow pages are pawnbrokers, junk bullion buyers, jewelers, and others people who don't collect or study rare coins. They buy your coins cheap, often for the bullion value of the metal only. This process will usually result in you getting ripped off. To make certain that you're consulting with an expert coin dealer, plus to ensure that the dealer you go to is an honest and ethical coin dealer, you should consider consulting the Professional Numismatists' Guild (PNG) directory first. The PNG has very strict requirements for member dealers. Mainly, you want to be sure you have recourse if something goes wrong, plus you want an expert dealer who has been reviewed by his peers for ethical behavior. Although I always recommend PNG Dealers before any others, because the PNG has by far the highest standards, in many cases there will be no PNG dealer local to you. In this case, you can check the American Numismatic Association's (ANA) Dealer Directory for someone. The ANA also has a code of ethics, so you have some recourse if you get sold fake coins or unfairly graded coins, but the ANA is nowhere near as vigilant as the PNG in mediating disputes when people can't get a resolution directly. The up-side is that the ANA is far more likely to have a local coin dealer in your city. If you can't find a local coin dealer through the PNG or the ANA, check to see if there are any local coin clubs in your area. The ANA has a Coin Club Directory, plus you can try searching on Google for terms like "Your-City Coin Clubs" or "Your-City Coin Shows." Of course, substitute the city you live in or the biggest nearby city, in place of "Your-City" when you search. Many local coin clubs sponsor monthly shows, where several dozen dealers will set up tables and buy and sell coins. If you cannot find a coin show yourself, then contact a local coin club to see if there are coin shows nearby or a dealer. There will likely be one willing to look at your coin collection. If none of the above methods are productive in finding a local coin dealer, the next place to check is the Yellow Pages, but not the online version. Get out the physical book and look at the ads in the "Coin Dealers" section. Many times, you can judge whether or not a dealer is a good choice simply by looking at his ad. Ads that say, "We buy junk jewelry and bullion" are not good choices. You want ads that say things like "Specializes in U.S. Coins" or gold coins, or some reference to various coins themselves, and not just looking to buy coins for scrap metal prices. If none of the above methods produce anybody in your vicinity, expand your search to local newspapers, especially papers like the "Recycler" or "Nifty Nickel." These are publications that come out weekly and are full of mostly private party ads. They almost always have a "Coins" section where people will advertise to buy and sell coins on a private basis. Try calling a couple of these folks and chatting them up. Some of them are part-time dealer/collectors who sell on eBay or at occasional local shows, and they love helping out the novice or non-collector. But beware—some of these guys maybe unethical, too! If you must go this route, go prepared. Get yourself a copy of the Red Book and look up your coins yourself first, so you have an idea of what is most valuable, and don't let these guys "cherrypick" you. Sell them all or nothing, and never sell anything if it doesn't feel right to you! How Do Coin Dealers Get More Coins When They Are Limited to One Per Person?